- 노상규, 오가닉 비즈니스: Network is eating the world, 오가닉미디어랩, 2016. - 노상규, 박진수, 인터넷진화의 열쇠 온톨로지: 웹2.0에서 3.0으로, 가즈토이, 2007. - 노상규, 위정현, 한국 온라인 게임산업의 발전과정과 향후과제, 서울대학교 출판부, 2007. - 노상규, 네트워크과학과 e-비즈니스, 서울대학교 경영대학 전자상거래 지원센터, 2003. - 노상규, 인터넷서비스의 과금정책, 서울대학교 경영대학 전자상거래 지원센터, 2003. - 노상규, E-Business를 위한 데이터 웨어하우징, 서울대학교 경영대학 전자상거래 지원센터, 2003. - 노상규, 가상커뮤니티와 집합재, 서울대학교 경영대학 전자상거래지원센터, 2002. - 노상규, 인터넷 비즈니스 모델, 서울대 경영대 전자상거래지원센터, 2001. - 안중호, 노상규, 정보기술을 활용한 경영의사결정, 홍문사, 1999. - 노상규, 전자상거래의 개념 및 특성, 서울대학교 경영대학 전자상거래지원센터, 1999. - 김태경, 박진수, 노상규, "지속비교 방법에 관한 연구: 초심 모델러 교육으로부터의 교훈," 한국전자거래학회지, pp. 165-189, 2013. - 노상규, 김태경, 박진수, "소셜 네트워크 사이트의 정보 매개하기: 시뮬레이션 연구," 한국전자거래학회지, pp. 33-55, 2013. - 김태경, 박진수, 노상규, "부분-전체 관계에 관한 개념적 모델링의 논의에 관하여," 지능정보연구, pp. 97-116, 2012. 12. - 박현정, 노상규, "상호작용성에 의한 SNS 영향유저 선정에 관한 연구 : 연속적인 참조관계가 있는 블로고스피어를 중심으로," 한국전자거래학회지, pp. 69-93, 2012. - 안정남, 유병준, 노상규, "DEA 방법론을 이용한 온라인 구매자 추천 시스템의 구축," 한국전자거래학회지, 제16권 3호, pp. 191-209, 2011.8. - Hyunjung Park, Sangkyu Rho, “A Folksonomy Ranking fr_x_amework: A Semantic Graph-based Approach,”Asia Pacific Journal of Information Systems, Vol.21, No.2, 2011, pp.89~116. - 조원진, 노상규, 윤지영, 박진수, "키워드 자동 생성에 대한 새로운 접근법: 역 벡터공간모델을 이용한 키워드 할당 방법," Asia Pacific Journal of Information Systems, 제21권 제1호, pp. 103-122, 2011.3. - Hyunjung Park, Sangkyu Rho, Jinsoo Park, "A Link-based Ranking Algorithm for Semantic Web Resources: A Class-oriented Approach Independent of Link Direction," Journal of Database Management 22(1), pp. 1-25, 2011.1. - Jinsoo Park, Wonchin Cho, Sangkyu Rho, "Evaluating Ontology Extraction Tools Using a Comprehensive Evaluation fr_x_amework," Data & Knowledge Engineering 69(10), pp. 1043R11;1061, 2010.10. - 윤지영, 노상규, "인터넷의 진화와 공간개념의 변화," 경영논집, 제43권 1호, pp. 77-91, 2009.12. - Jinsoo Park, Wonchin Cho, Sangkyu Rho, "Evaluation fr_x_amework for Automatic Ontology Extraction Tools: An Experiment," Lecture Notes in Computer Science 4805 (LNCS 4805), R. Meersman, Z. Tari, P. Herrero et al.(Eds. ), Springer- Verlag, Berlin Heidelgerg, 2007, pp. 511-521. - Rho, S. and An, J., “Evaluating Efficiency of Two-Stage Production Process Using Data Envelopment Analysis” International Transactions in Operational Research, September 2007. - Lee, K., Rho, S., Kim, S., and Jun, K., “Creativity-Innovation Cycle for Organisational Exploration and Exploitation: Lessons from Neowiz - A Korean Internet Company,” Long Range Planning, August 2007. - 노상규, 안정남, “비교쇼핑을 위한 판매자 추천 방법에 관한 연구,” Information Systems Review, 2007년 8월. - Rho, S., An, J. and Chong, S., “Discriminatory Congestion Pricing of Network Services: A Game Theoretic Approach Using Adverse Selection,”Seoul Journal of Business, June 2007. - 노상규, 안정남, 원정호, 정송, 혼잡발생 가능한 인터넷 서비스의 과금 모형, 디지털정책연구 1, pp.189-212, 디지털정책학회, 2003. - 노상규, 박정일, 집합재가 가상 커뮤티니 활동에 미치는 영향, 경영논집 37, pp.61-90, 서울대학교 경영대학 경영연구소, 2003-09. - Rho, S. and March, S. T., A Comparison Of Distributed Database Design Models, Seoul Journal of Business 8, pp.1-33, Seoul National University, 2002-06. - Lee, J., Lee, K., and Rho, S., An Evolutionary Perspective on Strategic Group Emergence: A Genetic Algorithm-Based Model, Strategic Management Journal 23, pp.726-747, Strategic Management Association, 2002-08. - 김병도, 노상규, 유전자 알고리즘을 이용한 비모수 회귀분석, 경영정보학연구 11, pp.61-73, 한국경영정보학회, 2001-03. - Rho, S. and March, S. T., A Decision Support Tool for Distributed Database Design, Seoul Journal of Business 6, pp.71-111, Seoul National University, 2000-12. - March, S. T. and Rho, S., A Semantic ob_x_ject-Oriented Data Access System, Information Systems 5, pp.23-41, Pergamon-Elsevier Science Ltd, 2000-03. - 노상규, 인터넷 상거래의 가격 메커니즘: Dynamic Pricing을 중심으로, 경영논집 34, pp.15-43, 서울대학교 경영대학 경영연구소, 2000-06. - 노상규, 분석패턴을 이용한 객체지향 시스템 개발방법론, 경영논집 32, pp.126-152, 서울대학교 경영대학 경영연구소, 1998-05. - 노상규, 유전자 알고리즘을 이용한 변수 선택법, 경영논집 32, pp.108-122, 서울대학교 경영대학 경영연구소, 1998-12. - 노상규, 우한균, 객체지향 웹 애플리케이션 개발을 위한 메타 클래스, 경영정보논총 8, pp.35-54, 서울대학교 경영대학 경영정보연구소, 1998-12. 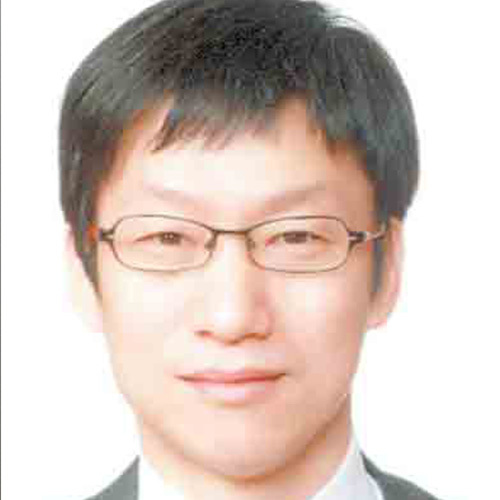 - 노상규, A Simulated Distributed Database System for Response Time Evaluation, 경영정보학연구 7(3), pp.23-37, 한국경영정보학회, 1997. - Rho, S., March, S. T., ob_x_ject-Oriented Development: Patterns, Interfaces, and Update Semantics, Seoul Journal of Business 3(1), pp.37-63, 서울대 경영연구소, 1997. - 노상규, 객체지향언어를 이용한 개념적 데이타 모델 구현에 관한 연구, 경영정보논총 7, pp.117-139, 경영정보연구소, 1997. - Rho, S. and March, S. T., Optimizing Distributed Join Queries: A Genetic Algorithm Approach, ” Annals of Operations Research, Vol. 71, 1997, pp. 199-228., Annals of Operations Research 71, pp.199-228, J.C. Baltzer AG, Science Publishers, 1997. - Salvatore T. March, Sangkyu Rho, Characterization and Analysis of a Nested Genetic Algorithm for Distributed Database Design, Seoul Journal of Business 2(1), pp.85-121, 1996. - 노상규, 분산 데이타베이스의 효율적 설계를 위한 모델과 알고리즘, 경영정보논총 6, pp.159-188, 서울대학교 경영대학 경영정보연구소, 1995. - March, S. T. and Rho, S., Allocating Data and Operations to Nodes in Distributed Database Design, IEEE Transactions on Knowledge and Data Engineering 7, pp.305-317, IEEE Computer Soc, 1995-04. - Information Mediation and Hop: Do Not Wipe away Footprints, AIS, Proceedings of PACIS 2013, 2013.06.21. - Understanding Information Relay of Brand SNS: Evidence from Analysis on a Department Store Twitter, KrAIS, Proceedings of KrAIS 2012, 2012.12.19. - 부분인가, 멤버인가: 부분 관계의 변화에 관한 비판적 고찰 ,한국지능정보시스템학회 ,한국지능정보시스템학회 춘계학술대회 논문집 , 2012.05.18. - Taekyung Kim, Jinsoo Park, Sangkyu Rho, "Applying Grounded Theory to Conceptual Data Modeling: Effects of Constant Comparative Method," in Proceedings of the 17th Americas Conference on Information Systems (AMCIS2011), Detroit, Michigan, p.47, 2011.8. - 박진수, 문세원, 노상규, "온톨로지 개발 방법론의 분류 프레임워크에 관한 연구" , 한국지능정보시스템학회 2009 추계학술대회, 서울, pp. 141-148, 2009.11. - 박진수, 김태경, 노상규, "온톨로지 개발 방법론에서 제시된 개념화에 관한 연구" , 한국경영정보학회 2009 춘계학술대회, 2009.6. - 노상규, 박현정, 박진수, “시맨틱 웹 질의 결과의 랭킹을 위한 링크 기반 접근,” 한국지능정보시스템학회 춘계학술대회, 2007년 5월. - 노상규, 안정남, “비교쇼핑을 위한 판매자 추천 방법에 관한 연구,” 한국경영정보학회 추계학술대회, 2006년 11월. - Rho, S. and An, J., “Evaluating Value-of-Money using DEA Game Models,” Asia-Pacific Productivity Conference, Seoul, Korea, August 17-19, 2006. - Rho, S. and An, J., “Evaluating Value-of-Money using DEA Game Models,” North American Productivity Workshop IV, June 2006. - 노상규, 안정남, “소비자의 판매자 선택을 위한 게임 모델,” 한국정보시스템학회 추계학술대회, 2005년 12월. - Rho, S. and An, J., “Efficiency Evaluation of Internet Companies Using Data Envelopment Analysis,” International KMIS, 2005. - Rho, S., and An. J., ”Efficiency Evaluation of Information Technology Investments Using Two-stage Data Envelopment Analysis,” 17th Triennial conference of the International Federation of Operational Research Societies, July 11-15, 2005. - Rho, S., et al., “Price Discrimination of Congestible Internet Services,” Proceedings of the 7th International Conference on Electronic Commerce Research, Dallas, TX, June 2004. - 노상규, 안정남, 인터넷 멀티미디어 서비스의 Congestion Pricing에 관한 연구, 한국경영정보학회 2003 춘계학술대회 논문집, pp.1095-1102, 한국경영정보학회, 2003-06. - 노상규, 박현정, multi-QOS 인터넷 클래스 설계, 한국 경영정보학회 2003 춘계학술대회 논문집, pp.1029-1036, 한국 경영정보학회, 2003-06. - Kim, Byung-Do and Rho, Sangkyu, Nonparametric Regression with Genetic Algorithm, Proceedings of the 8th Workshop on Information Technologies and Systems, pp.217-227, WITS, 1998. - Rho, Sangkyu & Woo, Hankyun, Meta Classes for ob_x_ject-Oriented Web Applications Development, Proceedings of the 8th Workshop on Information Technologies and Systems, pp.127-136, WITS, 1998. - 노상규, 개념적 데이타 모델 구현을 위한 객체 지향 데이타 관리 시스템, 한국경영정보학회 EIS/DSS 연구회 '96학술대회 논문집, pp.57-65, 1996. - Sangkyu Rho, Representing Relationships in ob_x_ject-Oriented Systems Development, The 2nd International Conference on OA \& Information Management 17(4-2), pp.77-80, JSSOA, 1996. - Salvatore T. March, Sangkyu Rho, ob_x_ject Support for Entity-Relationship Semantics, Proceedings of the Sixth Annual Workshop on Information Technologies \& Systems, pp.1-10, 1996. - Rho, S., Genetic Algorithms (Encyclopedic Dictionary of Management nformation Systems)85-86, Blackwell Publishers, 1997. - Rho, S, Distributed Systems (Encyclopedic Dictionary of Management Information Systems) 57-61, Blackwell Publishers, 1997. - 학술회의, 구두논문발표, Academy of Management Conference (An Evolutionary Perspective on Strategic Group Emergence: A Genetic Algorithm-Based Model) August 1999. - 학술회의, 구두논문발표, Proceedings of the 8th Workshop on Information Technologies and Systems (Meta Classes for ob_x_ject-Oriented Web Applications Development)December 1998. - 학술회의, 구두논문발표, 8th Workshop on Information Technologies and Systems (Nonparametric Regression with Genetic Algorithm) December 1998.